POWER GAMES: A remote farmhouse; three people; one result. THE MAGIM'S STAFF: A short tale of resistance and endurance. THE HOUSE OF THE STORMWIND: How far would you go to help your landlady remove a curse? MIDSUMMER BEAUTY: A letter results in a surprising awakening for Maddie. LADY OF THE LAKE: Where mist reveals your heart’s desire. ASSIGNMENT: HUMANITY: Is the human race worth saving? RED MIST: A darker tale of power and revenge. KNOCK, KNOCK: Things that go bump in the night. From 2019, we have set the price of this book as FREE at Smashwords, iTunes, and Barnes and Noble. Please note that Amazon reserves the right to keep the price of the book at its list price (99p/99c - which is the minimum we are allowed to charge.) If the book is free at Amazon, it is as a result of something called 'price-matching', and something over which we have no control. You are always welcome to download this ebook - for free - from any of the other outlets listed above. Alternatively, you may download the Kindle version direct from our website via selecting the link below! Kindle ebooks can be read on PCs and laptops using the free software provided by Amazon, or through the free Kindle reading apps offered for tablets and smartphones. 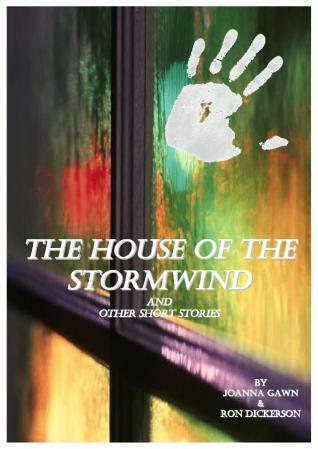 A paperback version of The House of the Stormwind and other short stories is available, combined with Crystal, Fire and Water as a duo-book. This is priced £4.50 plus postage and packing. Please see this blog post for information on how to obtain your copy. You're welcome to read a sample using the Preview Tool below!